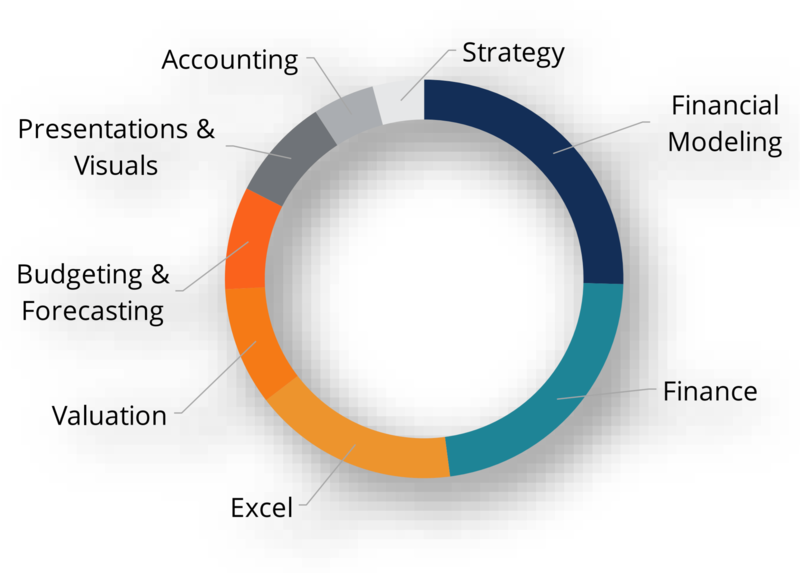 When it comes to financial analyst education, the most common path is still a traditional four-year university degree. Instead of taking online university degrees, many analysts enroll in online certification programs, which don’t provide a Bachelor’s degree but instead issue an accreditation. CFI’s Financial Modeling and Valuation Analyst (FMVA)FMVA™ CertificationThe Financial Modeling & Valueation Analyst (FMVA)™ accreditation is a global standard for financial analysts that covers finance, accounting, financial modeling, valuation, budgeting, forecasting, presentations, and strategy. program, for example, can be taken 100% online and offer practical skills, tools, and trainingCorporate TrainingCFI for business provides Corporate Training in finance, accounting, Excel, budgeting, financial modleing, and valuation for organizations around the world. for aspiring financial analysts. One of the best alternatives to a financial analyst online degree can be an online certification program like the FMVA.